Designed as an installation for the 37th Poetry International Festival. The poet's were figural placed on the theatre square through their sounds. The soundpiece is controlled by an internet medium, that connects to the speakers under the theatre square. 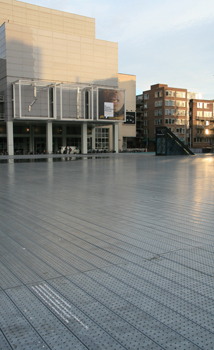 It is now being used and controlled by Rotterdam Festivals.